Are you getting sick of seeing the Lotus Blossom yet? I'm not. 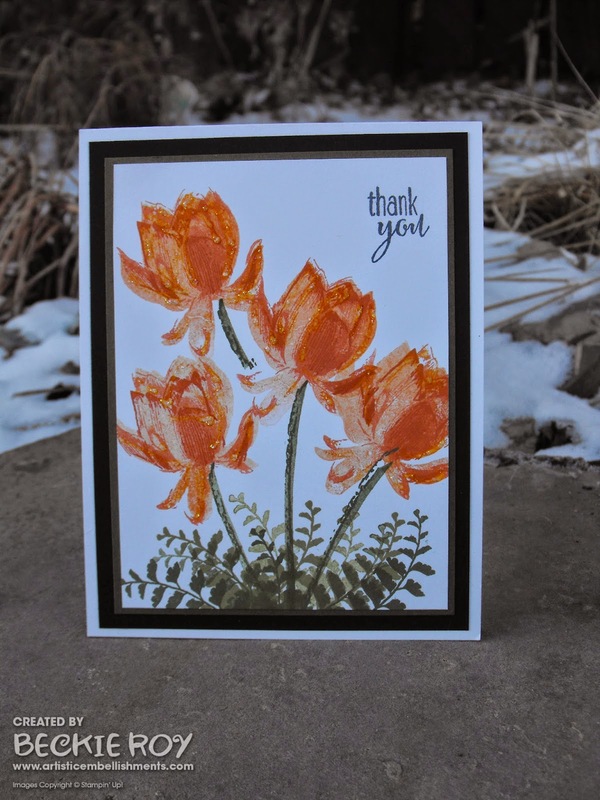 I love this stamp and how you can add the dimension without having to colour - just STAMP! 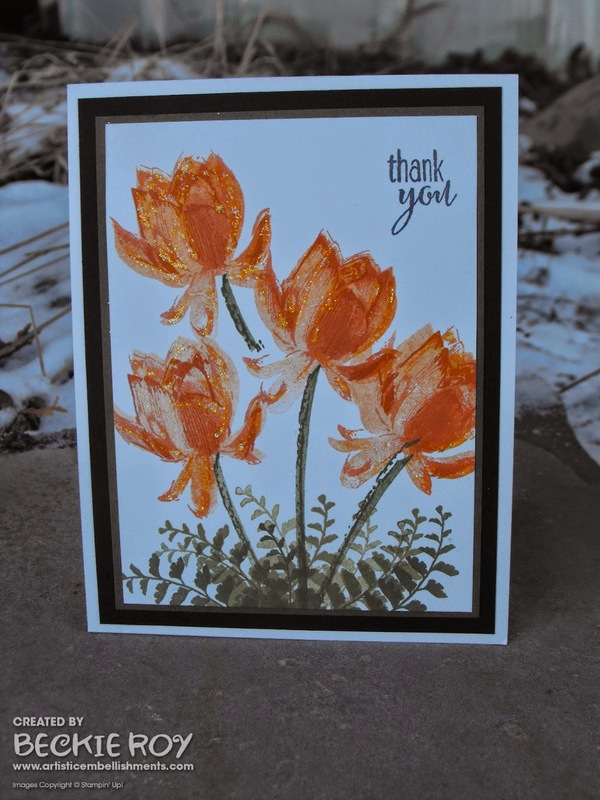 This card is only ONE layer - no dimensionals! 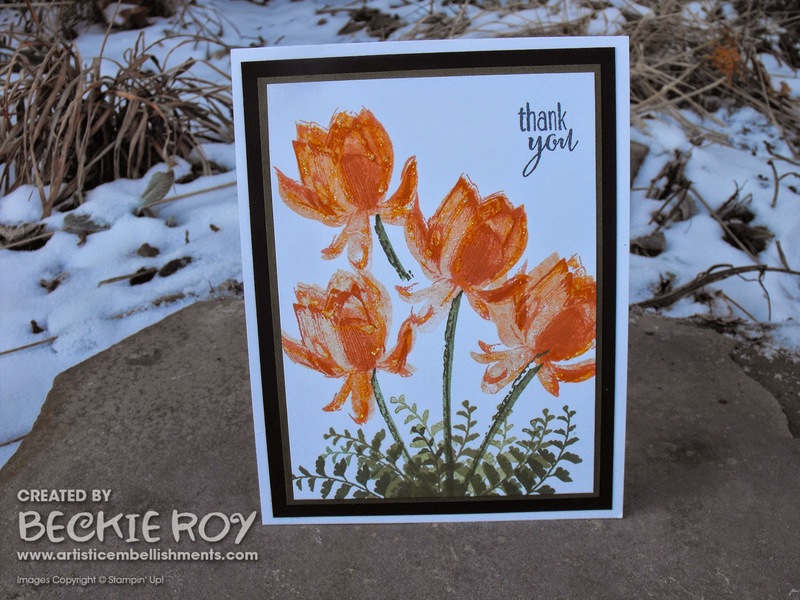 I stamped several of lotus blossoms using Tangelo Twist and Pumpkin Pie inks... I love orange, my favourite colour. To finish, I added some Dazzling Details glitter and layers of Mossy Meadow and Basic Black.